CVS Midwest Tape is a Canadian public library non-print vendor that stands on the forefront of innovation in selection and acquisitions tools, cataloguing and processing resources, and comprehensive customer service offerings. CVS Midwest Tape is now the largest public library supplier of physical and digital media in Canada, and is a vendor of record for the majority of the county’s largest library systems, including Barrie, Burlington, Burnaby, Calgary, Chatham-Kent, Edmonton, Guelph, Greater New Brunswick, Greater Victoria, Halifax, Hamilton, Markham, Montreal, Middlesex, Mississauga, London, Newfoundland, North Vancouver District, Oakville, Okanagan Regional, Ottawa, Regina, Richmond, Saskatoon, St. Catharines, Surrey, Thunder Bay, Toronto, Vaughan, Vancouver, Vancouver Island Regional, West Vancouver, Whitby, Windsor, Winnipeg, and Wood Buffalo. Nearly 30 years ago, Canadian Video Services (CVS) launched as a video store specializing in children’s and family-friendly content. Soon thereafter, the service-focused company became a trusted supplier to Canadian Public Libraries. Since that time, the company has continued to innovate on behalf of and with its customers, creating some of the very first Automatic Release Plans (ARPs) for children’s video and providing thought leadership to libraries through extensive involvement in technology and media workshops, reports and conferences. 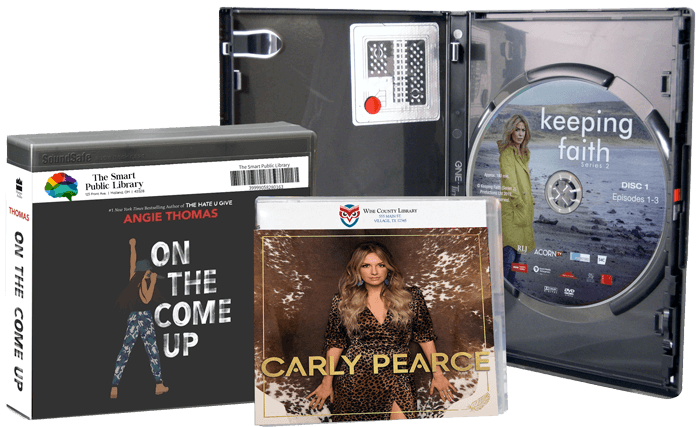 In 2009, CVS Inc. and Midwest Tape jointly created the CVS Midwest Tape partnership, providing Canadian libraries with previously unavailable state-of-the-art large market library selections technologies, including Variable Integrated Processing (VIP). With headquarters in Toronto, Ontario, the company had an immediate impact on the Canadian public library market by dramatically streamlining library workflows. Our exclusive focus is to serve public libraries and that commitment to continual innovation is what led to the creation of Dreamscape Media, the library-first publisher of quality audiobook and video titles, as well as hoopla, the top-rated digital library service. 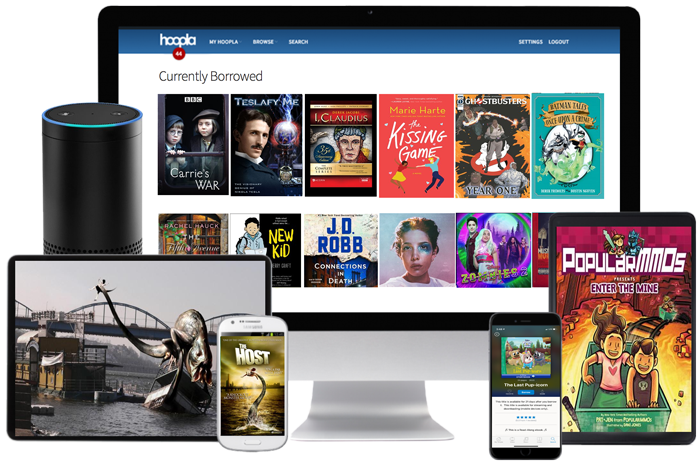 Continuing to evolve with libraries in new and exciting ways, we have integrated into the future of the library with a digital services brand and platform, hoopla. 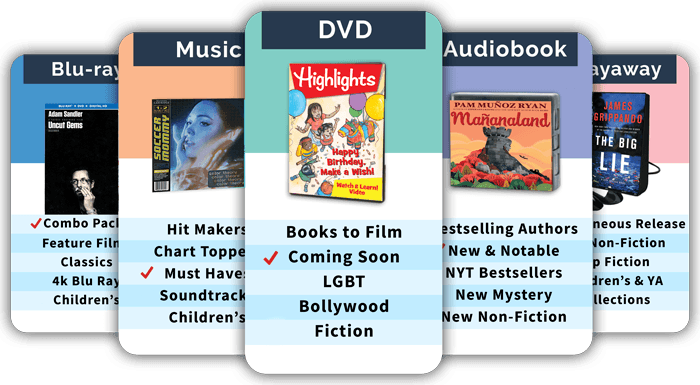 Allowing people to read, listen to, and watch what they want, when they want, and where they want, hoopla levels the playing field for library patrons in the trending consumer world of digital content. Libraries across North America partner with hoopla digital to allow patrons to instantly borrow eBooks, audiobooks, comics, movies, music, and more, 24/7 with a valid library card. Using hoopla, patrons can instantly stream or download dynamic content. All content is accessible via the hoopla mobile app and online at www.hoopladigital.com. Dreamscape is a library-first, award-winning, multi-format media publisher of fiction and non-fiction audiobooks, book-based children’s read-along video programs, and unique documentaries and film. Dreamscape offers customized distribution programs for publishers and filmmakers alike, and its titles can be found in library and retail channels — both physical and digital. Learn more about CVS Midwest Tape, hoopla, and Dreamscape. Find out how working with these three brands, housed in a single, privately owned company and dedicated to the mission of serving libraries, can create the best media experience for you.